This ancient advent hymn originated in part from the “Great ‘O’ Antiphons,” part of the medieval Roman Catholic Advent liturgy. On each day of the week leading up to Christmas, one responsive verse would be chanted, each including a different Old Testament name for the coming Messiah. When we sing each verse of this hymn, we acknowledge Christ as the fulfillment of these Old Testament prophesies. We sing this hymn in an already-but not yet-kingdom of God. Christ's first coming gives us a reason to rejoice again and again, yet we know that all is not well with the world. So along with our rejoicing, we plead using the words of this hymn that Christ would come again to perfectly fulfill the promise that all darkness will be turned to light. The original text created a reverse acrostic: “ero cras,” which means, “I shall be with you tomorrow.” That is the promise we hold to as we sing this beautiful hymn. “O Come, Messiah, come again And rid the world of death and sin. Return Thou risen Savior and King, That heav’n and earth at last may sing.” (Hymnal for Worship and Celebration: Word Music, 1986). 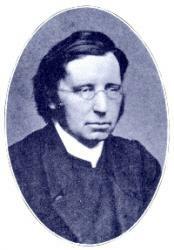 “O Come, O Come, Immanuel” is set to the tune VENI EMMANUEL, adapted by Thomas Helmore. This haunting and pleading tune beautifully supports the words of longing found in the text, with the hopeful change into the refrain. When arranging, be sure to highlight the juxtaposition between the verses and the refrain that is powerfully moving – the verses should evoke a sense of deep, deep longing, and the refrain then acts as a response of assurance to that plea. This could be expressed by singing the stanzas in unison and the refrain in harmony, or using lighter instrumentation on the verses and get louder on the refrain, as well changing from minor accompaniment to major. 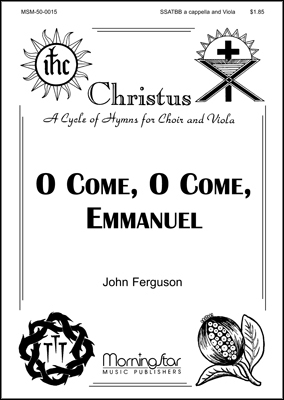 In Hymnal for Worship and Celebration, “O Come, O Come, Immanuel” is part of a brief worship sequence for an Advent service that begins with a responsive reading and connects the hymns “O Come, O Come, Immanuel,” “Come Thou Long-Expected Jesus” and “Joy to the World!” with musical segues. Additionally, the hymn may be sung antiphonally, with a choir or soloist introducing the opening refrain (possibly in the original Latin) and the congregation joining in on the first stanza. David Schaap recommends singing each verse separately followed by a reading of the corresponding Old Testament prophesy (perhaps over ambient piano or organ transitions). While the ‘O’ Antiphons would have been sung each day during the week before Christmas, it is also possible to sing two stanzas each week of Advent, a tradition some Catholic churches hold: stanzas 1 & 2 on the first Sunday, 3 & 4 on the second Sunday, 5 & 6 on the third Sunday, and 1 & 7 on the fourth Sunday. Fettke, Tom. Veni Emmanuel - Choir anthem of "O Come, O Come Emmanuel" paired with "Tommorow Shall Be My Dancing Day"
Display Title: O Come, O Come, Emmanuel First Line: O come, O come, Emmanuel Tune Title: VENI EMMANUEL Author: Henry Sloane Coffin, 1877-1954; John Mason Neale, 1818-1866 Meter: LM with refrain Scripture: Matthew 1:23 Date: 2001 Subject: Advent | First; Conflict | Source: Latin 9th C.
Display Title: Veni, veni, Immanuel First Line: O come, O come, Immanuel (Vini, vini Emanuèl) Tune Title: [O come, O come, Immanuel (Vini, vini Emanuèl)] Author: John Mason Neale, 1818-66; A. R. Date: 1979 Source: From Antiphons in Latin Breviary, 12th cent. 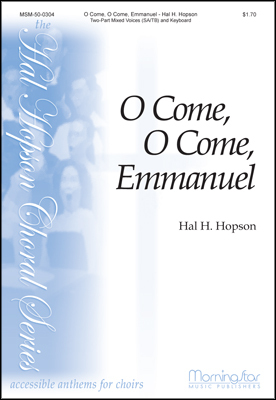 Display Title: O Come, O Come, Emmanuel First Line: O come, O come, Emmanuel Tune Title: VENI, VENI EMMANUEL Author: John Mason Neale, 1818-1866 Meter: LM with refrain Scripture: Genesis 49:10; Exodus 3:1-15; Exodus 14 - 15; Exodus 19 - 20; Proverbs 8:22-31; Isaiah 7:14; Isaiah 9:17; Isaiah 11:1-9; Isaiah 22:22; Isaiah 52:10; Isaiah 52:15; Isaiah 61:1-2; Zechariah 2:10-13; Malachi 3:18; Matthew 1:23; Matthew 4:1-16; Matthew 27:11; Matthew 27:27; Matthew 27:29; Matthew 27:35-50; Luke 1:68-69; Luke 9:31; John 1:1-5; John 1:9-14; John 1:49; John 6:1-15; John 8:12; John 14:6; John 14:27; John 19; Acts 4:11; Hebrews 1:3; 1 Peter 2:4-10; 2 Peter 1:19; Revelation 3:7 Date: 1994 Subject: Advent | ; Covenant/Law | ; Wisdom | Source: Latin 9th C.
Display Title: O Come, O Come Emmanuel First Line: O come, o come, Emmanuel Tune Title: VENI EMMANUEL Author: John M. Neale, 1818-1866 Meter: LM with refrain Scripture: Exodus 20; Proverbs 8:22; Isaiah 7:14; Isaiah 22:22; Haggai 2:7; Luke 1:78-79 Date: 2011 Subject: Advent Season | ; Exile | ; Joy | ; Justice | ; Peace | Source: Latin, 9th C.
Display Title: O Come, O Come, Emmanuel First Line: O Come, O Come, Emmanuel Tune Title: VENI VENI EMMANUEL Author: John M. Neale, 1818-1866 Meter: LM with refrain Scripture: Exodus 20; Proverbs 8:22; Isaiah 7:14; Isaiah 11:1; Isaiah 22:22 Date: 1994 Subject: Seasons and Feasts | Advent; Captivity | Source: Latin 9th C.
Display Title: O Come, O Come, Emmanuel First Line: O come, O come, Emmanuel Tune Title: VENI VENI EMMANUEL Author: John M. Neale, 1818-1866 Meter: LM with refrain Date: 2004 Subject: Captivity | Source: Latin, 9th C.
Display Title: Rejoice! Rejoice! 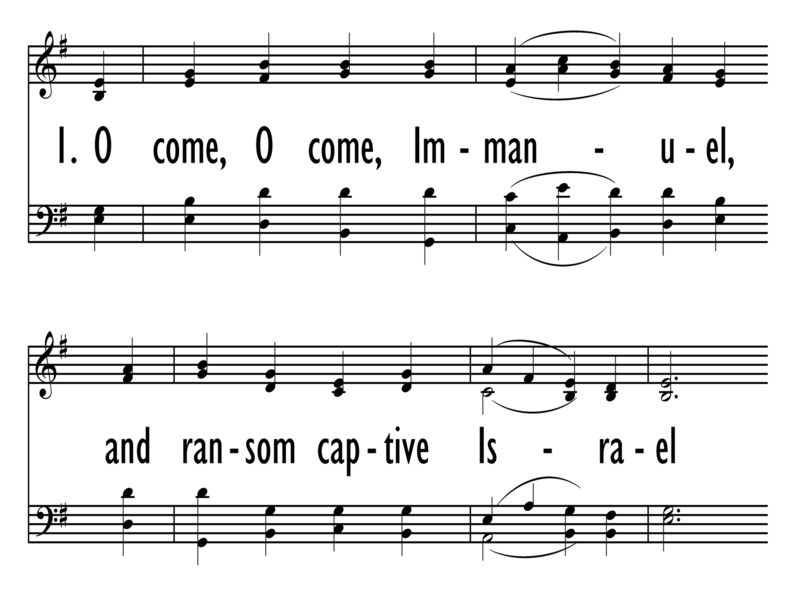 First Line: O come, O come, Emmanuel Tune Title: VENI, VENI, EMMANUEL Meter: LM with Refrain Date: 1985 Source: Latin, ca. 9th cent. ; Hymnal 1940, ver. alt. Display Title: O Come, O Come, Emmanuel First Line: O come, O come, Emmanuel Tune Title: VENI EMMANEUL Author: John M. Neale Meter: 8.8.8.8.8.8 Date: 2017 Subject: Jesus Christ | Advent Source: Latin hymn, 12th cent. Display Title: O Come, O Come, Emmanuel First Line: O come, O come, Emmanuel Tune Title: VENI EMMANUEL Author: John M. Neale, 1818-1866 Meter: LM with refrain Scripture: Exodus 20; Proverbs 8:22; Isaiah 7:14; Isaiah 11:1; Isaiah 22:22; Haggai 2:7; Luke 1:78-79 Date: 2012 Subject: Advent Season | ; Captivity | ; Exile | ; Joy | ; Justice | ; Peace | Source: Veni, veni Emmanuel; Latin 9th C.
Display Title: O Come, O Come, Immanuel First Line: O come, O come, Immanuel Tune Title: VENI EMMANUEL Scripture: Isaiah 7:14; Isaiah 11:1-10; Isaiah 59:20; Luke 1:68-79 Date: 1995 Subject: Advent | ; Christian year--Advent | Source: Latin, 9th cent. Display Title: O Come, O Come, Emmanuel (Oh Ven, Oh Ven, Emanuel) First Line: O come, O come, Emmanuel (Oh ven, oh ven, Emanuel) Tune Title: VENI EMMANUEL Author: John M. Neale, 1818-1866; Alfred Ostrom, 1868-1941; Federico J. Pagura, b. 1923; Dimas Plannas-Belfort Meter: LM with refrain Scripture: Exodus 20; Proverbs 8:22; Isaiah 7:14; Isaiah 11:1; Isaiah 22:22; Haggai 2:7; Luke 1:78-79 Date: 2013 Subject: Advent Season | ; Tiempo de Advento | ; Alegría | ; Joy | ; Confianza | ; Trust | ; Exile | ; Exilio | ; Justice | ; Justicia | ; Paz | ; Peace | Source: Latin, 9th C.
Display Title: O Come, O Come, Emmanuel First Line: O come, O come, Emmanuel Tune Title: VENI EMMANUEL Author: John Mason Neale; Henry Sloane Coffin Meter: L.M. with refrain Scripture: Isaiah 11:1-12; Exodus 19 Date: 1995 Subject: Advent | ; Jesus Christ | Advent; Year A | Advent 4 Source: Psalteriolum Cantionum Catholicarum, 1710; based on ancient antiphons from Advent Vespers; Other translators also, alt. 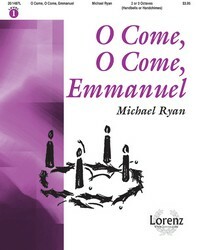 Display Title: O Come, O Come, Emmanuel First Line: O come, O come, Emmanuel Tune Title: VENI EMMANUEL Author: John M. Neale; Henry Sloane Coffin Meter: 8.8.8.8.8.8. Scripture: Job 38:12; Isaiah 7:14; Isaiah 9:2; Isaiah 11:1; Haggai 2:7; Matthew 1:23; Luke 1:78; Revelation 3:7 Date: 1990 Subject: Advent Season | ; Jesus Christ | Emmanuel Source: Latin hymn, 12th C.
Display Title: O Come, O Come, Emmanuel First Line: O come, O come, Emmanuel Tune Title: VENI VENI EMMANUEL Author: John M. Neale, 1818-1866 Meter: LM with refrain Date: 2011 Subject: Advent | Source: Latin, 9th C.
Display Title: O Come, O Come, Emmanuel First Line: O come, O come, Emmanuel Tune Title: VENI EMMANUEL Author: Henry S. Coffin, 1877-1954; John M. Neale, 1818-1866 Meter: L.M.Ref. Scripture: Luke 1:78; Isaiah 9:2; Matthew 1:23; Isaiah 7:14; Revelation 3:7; Haggai 2:7; Job 38:12; John 16:13; Isaiah 30:21; John 14:6; Isaiah 11:1 Date: 2008 Source: Latin, 9th C.